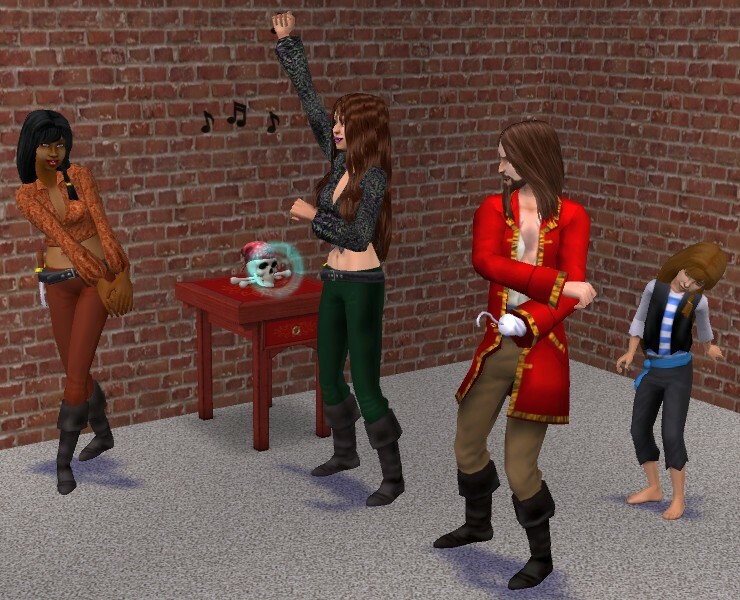 After Jack met his well-deserved fate, Captain Hook retrieved his skull from Davy Jones' locker, so your Sims can once again dance to Jack the Crooner's tune. This is a fully functional stereo. 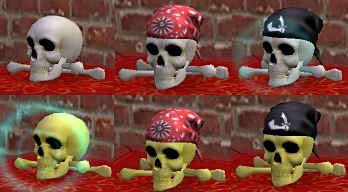 The mesh was made in MilkShape using parts of the Maxis skeleton and the Maxis bandanna men's hair mesh. There are 6 color options included, with and without bandannas. Feel free to make more color options - see my policy for more information. Am I going crazy or wasn't this same radio around a long time ago? I could swear I had it at one time before I lost my old computer. I love it, whether it's new or not. Thanks! No, you aren't crazy - this object used to be available on my now closed Website. Awesome work, thankyou! Great to see you back!